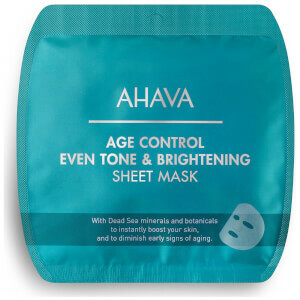 Save 10% off AHAVA and get a free AHAVA Age Control Even Tone & Brightening Sheet Mask x 2 when you spend $50 on the brand. Gift added automatically at checkout. While stocks last.